Oh Iceland, you have my heart! I’ve never seen something so mesmerizing and untouched. 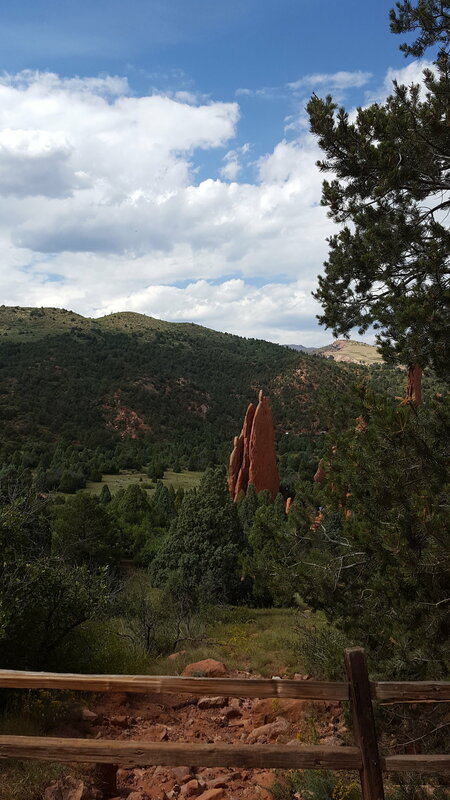 It’s such an amazing place to visit for a little R&R, listen to Episode 4 of the Free To Be Podcast for more on this, and a great place to visit with kids. 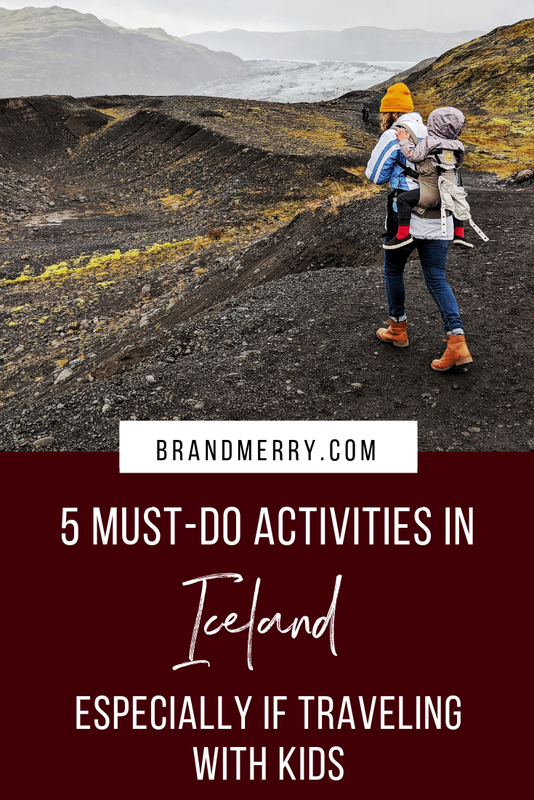 I wanted to share my top 5 must-do activities in Iceland, how we book our accommodations and my #1 suggest for all traveling mothers. It’s important to note that we traveled the second week of September, which is considered Winter in Iceland, but the weather was amazing. With six full travel days we opted to not do the entire Ring Road and rather split our time between the North and South of Iceland, traveling through the East (feels like a description of Game of Thrones). It is possible to do the Ring Road in that amount of time, but to really enjoy your time and take advantage of that R&R I mentioned before, I recommend picking some main focuses. I hope this post inspires you to plan your own trip to Iceland. I am so glad we found this little gem tucked away in Husavik. It had only been open about a month, when we visited in September 2018 and as a result, we truly had a one of a lifetime experience. Visiting a geothermal bath is a must do in Iceland, but it can feel overwhelming thinking of the Blue Lagoon (major tourist destination) especially when kids. 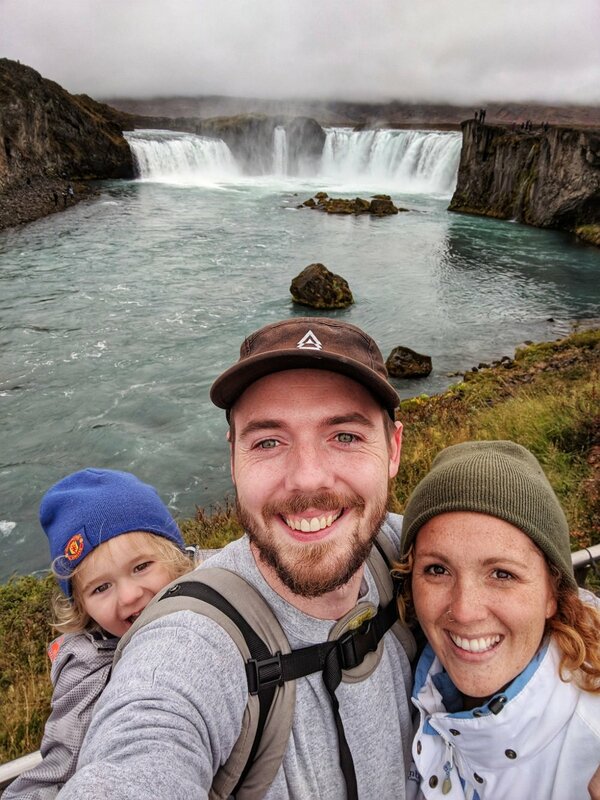 Ben and I are true believers that you can do, almost anything, traveling with kids that you would do without. The GeoSea Baths were amazing, and entry for kids was completely free and they offered us floaters for Cal at no extra charge. The view: Seriously I loved that I could look out over the ledge and see the water, it was such a beautiful view, watching the ships come in and out of the harbor and seeing the endless sea (made it feel like a true infinity pool). Swim-up bar: Need I say more? There was a smaller bath with a window to the bar, we didn’t even need to get out of the water. It was definitely a nice perk since we spent almost 3 hours there and girl needs a refreshment. BEAUTY - There is no better way to describe this National Park then just that, beauty. We loved our drive through Thingvellir, which is part of the Golden Circle, taking breaks along the way and enjoying brief walks for some amazing photos. One of the things about Iceland is the driving, and with views like this, it’s so freaking worth it. I highly recommend carving out about 2 hours to drive through the National Park, giving yourself time to fully explore the beautiful landscape that is Iceland. We did this on Day 2 of our trip, after staying near Vik. Waterfalls are a major obsession of mine. I fulfilled my dream of swimming beneath a waterfall in Costa Rica back in 2015 and while visiting Iceland I was able to walk behind a waterfall! It was so beautiful to see it from every angle and even get to stand near the base (something I highly recommend). If traveling with kids, I highly recommend a carrier of some kind, as a stroller is basically impossible. More on my top recommendation below. Wear boots, as the ground is slippery and you want some traction. In fact, I highly recommend just wearing boots EVERYWHERE in Iceland. Have a jacket or coat. When we visited Iceland in September it was pretty warm, compared to the temperatures they typically have, so a light windbreaker worked great for Ben and I added an extra fleece layer to feel a little more comfortable. What you definitely want is something waterproof to protect your clothes while viewing the waterfall up close and personal. We also visited Gullfoss Falls, but Ben and I both agree that Godafoss has our vote because of its accessibility. This was a great stop on our way back to Akureyri and allowed for a beautiful walk up the right side of the falls. It’s super picturesque and gives you such a beautiful view of a powerful natural wonder. Overall, we really loved the North of Iceland, an area not visited by many if not doing the full Ring Road. Ben and I visited Oregon in 2014 and fell in love with Crater Lake, seriously guys if you haven’t been it’s also a must-see! When visiting Iceland we had the opportunity to visit another crater minus the lake and it did not disappoint. Hverfjall is located near Lake Myvtan, while you’re there just make a day of it, and the hike to the top of the crater provides a beautiful view of the area. It is definitely a hike, so plan on at least 20 minutes to get up, longer if you’ve got a 36-pound toddler on your back, what can I say I love a good challenge. Speaking of a toddler on my back one of my must-have travel necessities as a parent is a baby carrier. 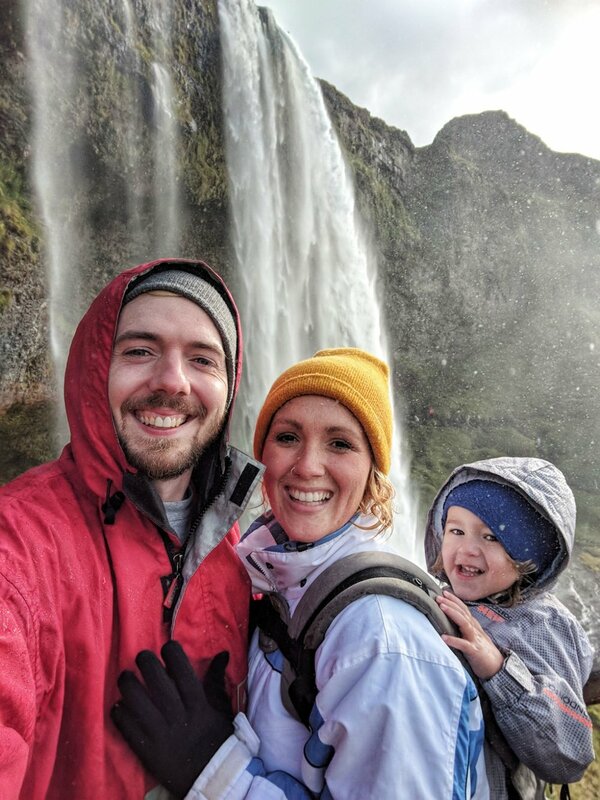 We said bye bye to a stroller while traveling and in Iceland, it’s just going to be a hassle as most places you want to visit aren’t stroller friendly. We always bring our Lillebaby All Seasons to accommodate Cal and make traveling a little easier. This is most likely his last trip in this carrier, but it still my #1 recommendation for traveling mommas. Bonus Tip #1: If you can stay on a working farm in Iceland, I highly recommend! Bonus Tip #2: Find a rental with a hot tub, it will not disappoint. I want to know, have you recently visited Iceland or planning a trip? What are your must-sees in Iceland. Head to my Instagram and leave a comment on my photo!